Left to Right: Matt Kleyn (Project Manager), Ed Bruning (Site Supervisor) and Alastair Kleyn (Director) . A FORRESTDALE building company has won a big state award for their work on Piara Waters’ newly opened Rossiter Pavilion and Playing Field. 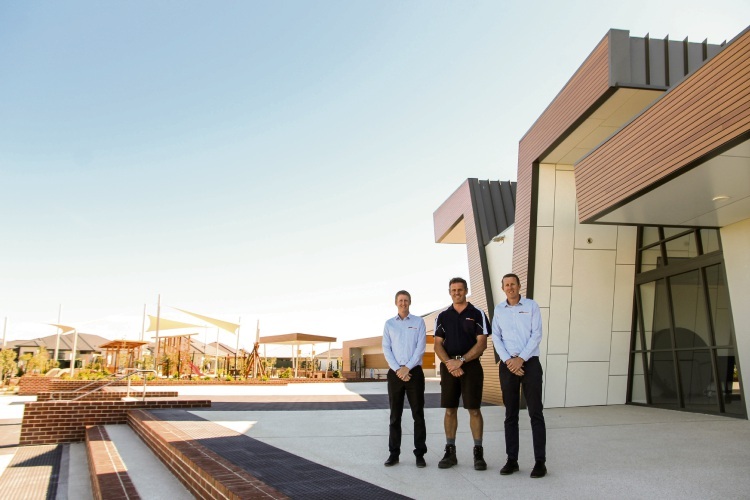 Alita Constructions was dubbed the winner of the Best Public Use Building in the $5-$10 million range category at the Master Builders-Bankwest Excellence in Construction Awards recently. Rossiter Pavilion in Piara Waters. 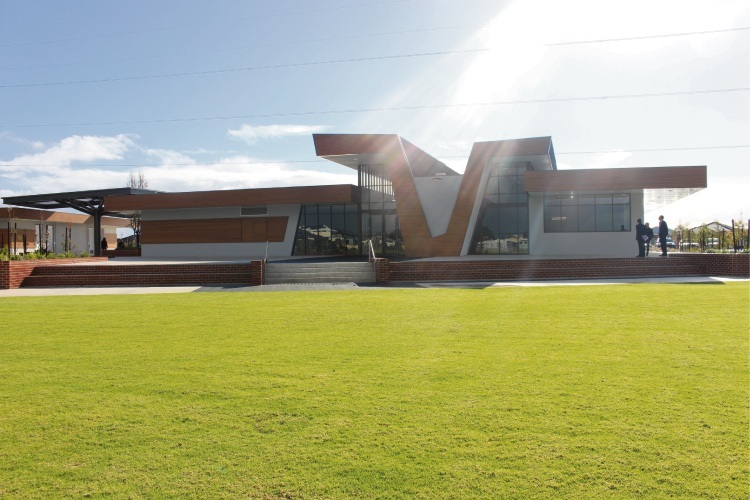 Alita Constructions director Alastair Kleyn said being able to work on a community pavilion in their own backyard had made this an important project for them. “It is both humbling and an honour to be recognised for a project that we, as a company, held close to our hearts,” he said. Among the other winners was McCorkell Constructions, who won a best industrial building award for the Sunscape Factory Development in Forrestdale.